Given my previous post – Inviting your input – What do you want to see on this blog? and Michael Lamoureux’s (Sourcing Innovation) comment about collaborating on the eSourcing Wiki, I thought that the best thing for me to do is to lay the background against which I was inviting your (my readers) input. I’ve been blogging at this site for close to a year now, including transitioning from the old Blogger site to this one. It’s been an eventful year to say the least and the question is how do I make it more so. So here are the facts about blogging somewhere deep down the Long Tail or Long tail – the Wiki. 1. Blogging is tough. My original goal was to commit about a half hour everyday to blogging but with a 9 month old son around – that is quite a difficult proposition. Right now, I’m lucky to get about an hour a week to blog. 2. Blogging is parasitic – symbiosis has not happened. Yet! I say that blogging is parasitic because if I dig up the number of times I have reviewed news articles or commented/critiqued the hard work of magazine writers and editors, I’d probably find that such parasiticism looms rather large. I have only kind words for the hosts but if the host dies, the parasites do too. Thus the way forward is to create more original content and that will be at the back of my mind going forward. 3. A few words about the visitors (i.e. You) to the blog: The fact of the matter is that you’re entirely a private person while you surf the web but never before has so much information (at an aggregate level) been made available to a publisher of content i.e. me. In a sense, this is what RFID will do for the supply chain as well even given all the privacy concerns out there. 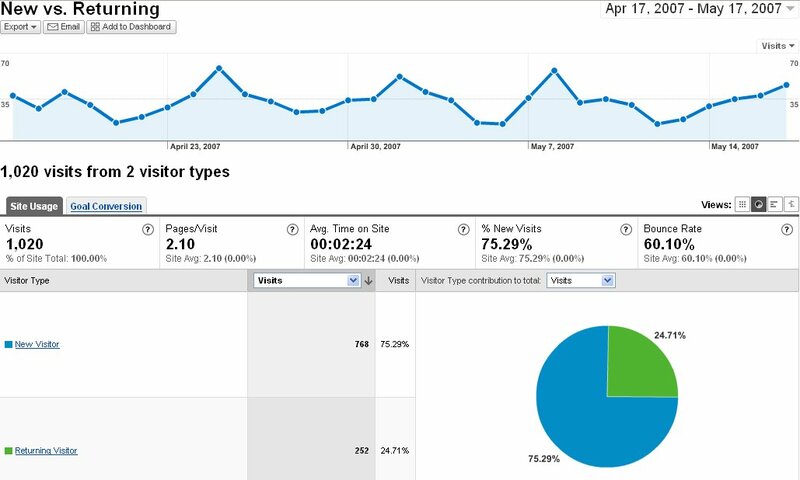 Note: These screenshots are from analytics services culled from Google Analytics and Statcounter. I highly recommend these two services to track stuff that happens around your blog or website. 4. Are you planning on making money from blogging? – At least not initially anyway. I’ve always seen blogging as an outlet for my creativity and curiosity and not as a source of revenue. But as you might have seen on my blog (and perhaps even clicked an advertisement), I’ve Google Adsense on my site. I hope to recoup the hosting cost that I’ve paid and that’s pretty much what I hope to cover from those clicks. 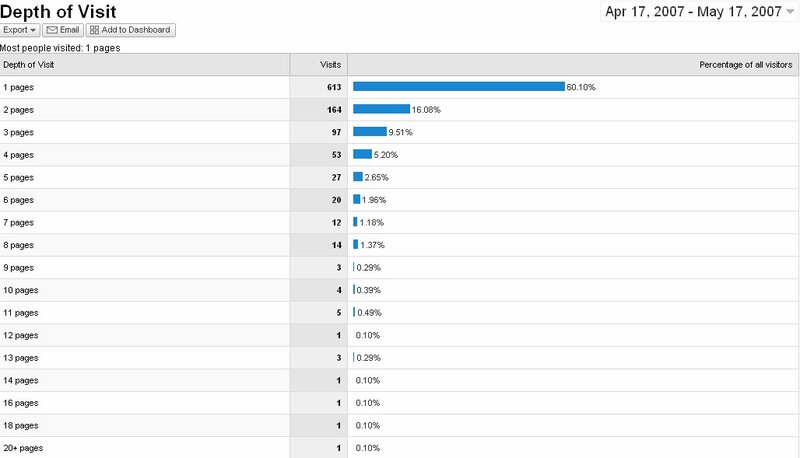 However, there are quite a few blogs that do make money on a consistent basis but I’m not sure I want to go that way. (If you don’t believe me – take a gander here : How Bloggers make money from Blogs). 5. Post length matters: I’ve no doubts about this. As the above figures illustrate as well as the bounce rates that I experience (roughly 60% – meaning that 60% of the users that land on my site are not finding what they’re looking for), post lengths are important. I know that I tend to be verbose, belaboring things that most people wouldn’t care too much about but its something I plan to improve on – making posts concise and to the point. I don’t know for sure whether the above represents, comparatively speaking, a good blogger-user community or not but its something that I’m planning to build on. The natural question becomes – what do you build? Michael Lamoureux made a comment on the previous post that involved contributing to a wiki – any wiki. That’s something I’m going to give serious thought as well because Wiki provides a platform to build on. The other idea is to actually create a platform – something of the order of a WordPress plugin itself that achieves some of that same wiki functionality. If any of you have a better idea, please feel compelled to share it with me. Then again, I would not want any compulsion to drive away my readers. Have a great and fruitful weekend!! Inviting your input – What do you want to see on this blog? 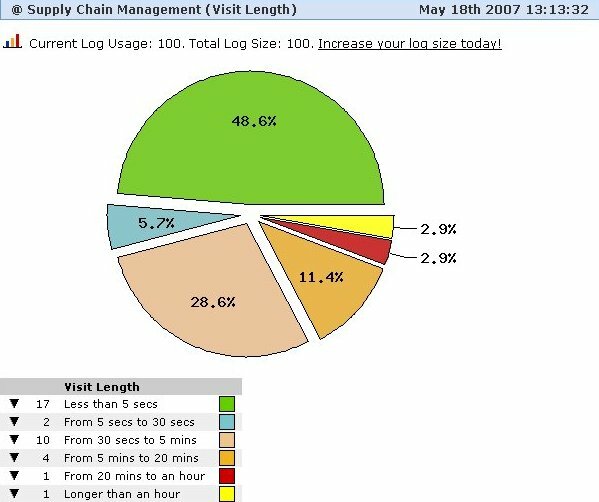 After my series of posts on three issues in Supply Chain Management (in case you didn’t catch them, they’re here: Three issues in Supply Chain Management 2.0, Three issues in Supply Chain Management 2.0 – Part 2 and Three issues in Supply Chain Management 2.0 – Part 3), I’ve been wondering about the immediate direction this blog should be heading in. The first thing that came to me is the very kind of Web 2.0 type of technology adapted to Supply Chain Management. Running a close second, is a sort of wikipage or instructions on some of the best practices and methods extant in Supply Chain Management. In the case of the latter, since my familiarity/expertise doesn’t extend over the whole supply chain, it would have to be a joint effort. In fact, it can be a joint effort from scratch to finish – i.e. a sort of Web 2.0 collaboration. But for that one needs a sort of platform not only to collect one’s thoughts but also to display the output. What is such a platform to be? Is there a WordPress plugin that might be a good place to start looking into? In the spirit of user interaction and collaboration, I’m reaching out to my readers to share what they would like to see on this blog, topics to look into, features that would be useful etc. No holds barred! Send me a note through the Contact page or comments in this post. Short answer: They are a SCM software services provider with a multitude of offerings that range from visibility to partnering and execution. 1. A firm thinks of its supply chain in a global context and thus creating an internal operations group that reflects not only such global operations but actually needing to and getting to integrating these functions together. * Process automation, such as vendor- or supplier-managed inventory (VMI or SMI), international procurement office (IPO) and trading center (ITC), etc. The new global organization and initiatives must be supported by improved visibility to timely and accurate supply chain information and greater control over the processes that span across companies in the extended supply network. A new shared platform is required to synchronize processes and information across all participants in the end-to-end supply chain, extending internal processes and systems and leveraging the investments made in traditional enterprise applications such as enterprise resource planning (ERP), supply chain management (SCM) and product data management (PDM) systems. This platform must support the very different architecture, technical, security and operational requirements of a multi-enterprise solution. In this business, you’ve got to be good at marketing and whoever wrote the above is trying very hard. * 29 percent identified improvement in trading partner integration by migrating from legacy systems to multi-enterprise supply chain platforms — replacing legacy collaboration applications and B2B gateways. * 39 percent cited improving availability and cycle times. In this last post, I will delve into the second and third of the three issues in a more substantive fashion. The essential design patterns in Web 2.0 are recounted here. The first issue is linked below. I refer to closed loop supply chain management in a sense that is quite different from the usage that I have encountered at many websites and discussions proceeding on the web. A typical reference to a closed loop supply chain would be like this one linked here – The Challenge of Closed-Loop Supply Chains. The proposition advanced here is that a closed-loop supply chain includes the forward part of the supply chain (i.e. product/material flow from producer to customer) as well as the reverse part of the supply chain (i.e. product/material flow from customer back to the producer). The closed-loop supply chain here has more to do with product flow. What I mean by closed loop supply chain management includes supply chain decision making and translation into operations and execution on the forward loop and information flow on the reverse loop of the supply chain. This proposition has more to do with information feedback about the effectiveness of the supply chain strategy and how to continually make course corrections in order to address the current market. Such a closed-loop supply chain naturally lends itself to continuous improvement – it is actually continuous improvement expressed in Supply Chain Management. Remember that in the forward loop, lies strategic decisions concerning the supply chain such as manufacturing configurations, inventory levels, sourcing decisions, investments in supply chain assets etc. These decisions are taken by the few or perhaps within middle management with a view of the world that they have built up with experience and/or sales data (feedback loop), growth forecasts (wishful thinking and/or statistical inferences) etc. The closed loop that exists here is some decision making on the forward loop and data warehouses that either relay information or calculate forecasts on the feedback loop. The actual feedback loop should extend all the way to the customer and the sales rep who interacts with the customer because even if a customer doesn’t end up buying a product the information gathered about the customer within the context of a conversation (apart from a standard sales survey) is quite important for the whole system. So how does Web 2.0 figure in this particular issue? Today, in Web 2.0, you would observe a proliferation of blogs – “71 million blogs… some of them have to be good – Matt” as the Technorati dogs-ear goes. A blog if anything can be described as the creation of meta-information by experts, semi-experts and downright doofuses that add content (of questionable value) to the information stream. In the case that we’ve been talking about, the customer and the sales-rep play the role of value creators except that instead of it being printed/typed, it is verbal information. So in order to get at this valuable information, you need to store the conversation between a sales-rep (who is equipped with a vocabulary) and a customer, parse it and glean the required information (and perhaps for purposes of privacy – destroy the conversation at the end of the parsing process). This is the sort of process that Google undertakes within the context of its gMail service – or as I have understood it. A system of the sort that I have described above, takes the feedback loop closer to the customer than the information that is presently obtained at the point-of-sale. 1. What is SCM 1.0? I’ll begin with (2) because that is probably the least unknown of the three. (1) will reveal itself when (3) is sufficiently fleshed out. Since (1) is really dependent on (3), perhaps an analogy mapping from (2) to (3) might be sufficient at this point. I just wanted to say how much I’ve come to dislike this Web 2.0 faux-meme. It’s not only vacuous marketing hype, it can’t possibly be right. In terms of qualitative changes of everyone’s experience of the Web, the first happened when Google hit its stride and suddenly search was useful for, and used by, everyone every day. The second syndication and blogging turning the Web from a library into an event stream is in the middle of happening. So a lot of us are already on 3.0. Anyhow, I think Usenet might have been the real 1.0. But most times, the whole thing still feels like a shaky early beta to me. Now, that you’ve heard from the opposition – a contrary opinion simply pleading a lack of visibility and the very need for a name for something that is not that big of a deal, I’ll go to the proponents case for what Web 2.0 is. This article at O’Reilly – What is Web 2.0 describes the position quite well. If you have the time to peruse the article, I think it’ll be worth your while. However, what is of immediate interest to the me can be found on page 5 of the article – Web 2.0 Design Patterns (Refer to the grey box on the right side of the page).